A couple Laptop Lunches here! These are both school lunches made for Paige. #1 - Paige only likes those Snap Pea Crisps if she can dip them in hummus. #2 - Those tortilla chips from Trader Joe's are fantastic! 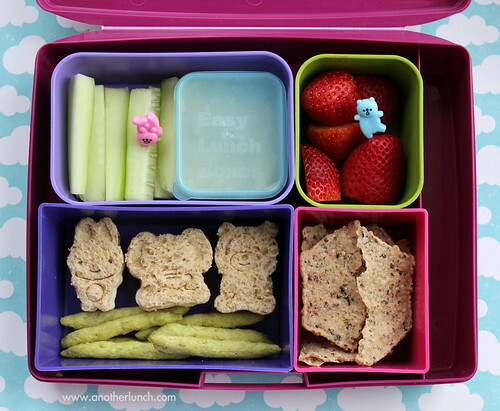 #3 - I absolutely love those little EasyLunchbox mini-dipper boxes, and stoked they fit in the Laptop Lunches. 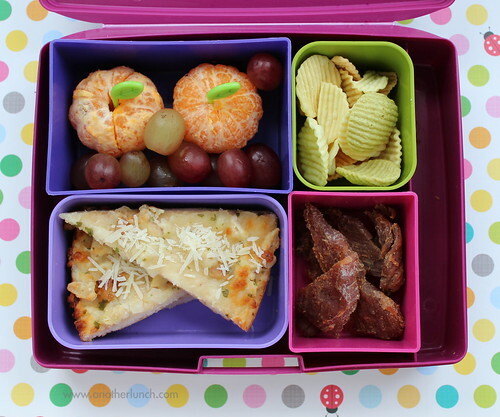 While the Laptop Lunches do come with a tiny dip box, the mini-dippers are a bit bigger and the lids are easy for my littles to handle independently. I'm a fan. They both look great! I love that the Mini Dipper fits right in with the LL container - I have to remember this! Where did you get the turkey jerky?